A Review of Srixon Amateur Series Golf Balls. Great golf balls designed for amateur golfers. The Srixon Q-Star golf ball is designed for average golfers who want more spin around the greens. The Q-Star’s unique cover characteristics make it a great golf ball. Off of the tee, this golf ball launches high and has a penetrating ball flight for added distance. Srixon has specifically designed it to have low driver spin, but some serious zip when hitting a wedge shot. 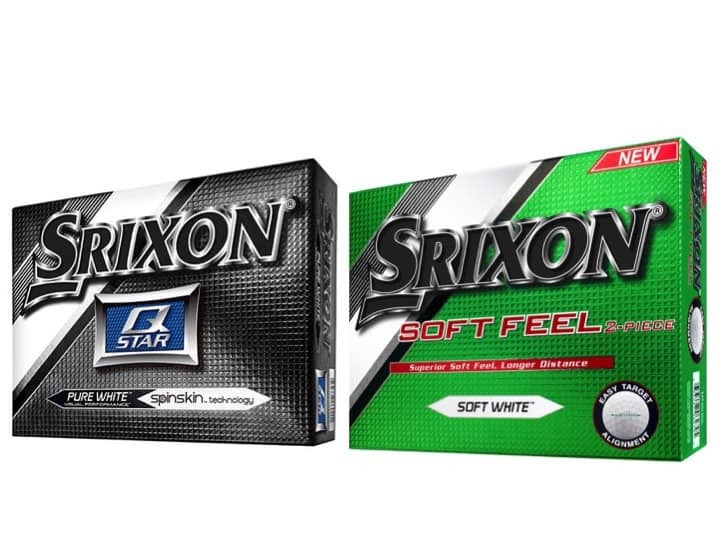 If you’re already hitting long drives, consider the Srixon Soft Feel golf ball reviewed below. A little secret about the Srixon Q-Star golf ball is that the “STAR” is actually an acronym. The STAR in Q-Star stands for Spin, Trajectory, Acceleration, and Responsiveness. The combination of these factors produces both distance and control. A high launch angle is the key to hitting the golf ball far. Although you don’t want to hit a “pop up” or “sky” the ball off of the tee, if the golf ball doesn’t have a high enough apex trajectory, you can never get maximum distance out of your golf swing. The Srixon Q-Star golf ball helps you to consistently launch it higher and spin it around the greens on approach shots. Every golfer can benefit from that combo. 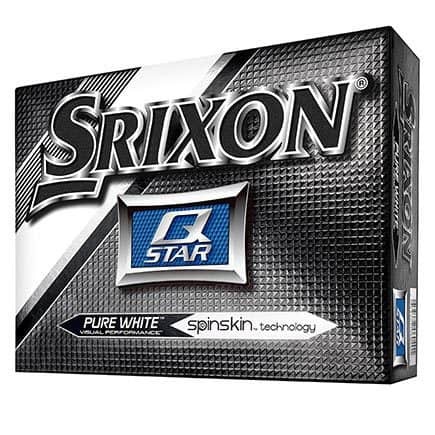 The Q-Star golf ball boasts an innovation by Srixon called “Spin Skin”. Spin Skin is a special coating on the golf ball that increases the frictional force at impact. The additional frictional force gives the golf ball additional spin. This translates to more touch and feel for greenside chips and pitches. Statistically, improving from 100 yards and in is the key to lower scores. Who doesn’t enjoy throwing darts with their wedges and saving strokes around the greens? With the Srixon Q-Star’s spin skin technology, you be hitting it closer to the pin. The cover or outer layer of the Q-Star is constructed from a Rabalon and Pana-Tetra blend. The blend gives the golf ball an overall soft feel and striking, bright white color. It is also more resistant to scuffs and scratches than most other premium golf balls on the market. The cover of the Q-Star is designed for durability and outlasts golf balls with urethane covers. The Srixon Q-Star also features a 324 Speed Dimple pattern engineered to improve the aerodynamic design and reduce drag. This gives you with the ability to hit higher shots effortlessly. The Srixon Q-star’s core is built for long distance and a soft feel. It’s a two-piece golf ball with a large core and a soft cover. It features what Srixon calls an Energetic Gradient Growth core. This core is responsible for the Acceleration of the Q-Star. It transfers the energy generated at impact in the most efficient way possible to maximize distance. The proprietary core technology accounts for the high trajectory and increased distance of the Srixon Q-Star. 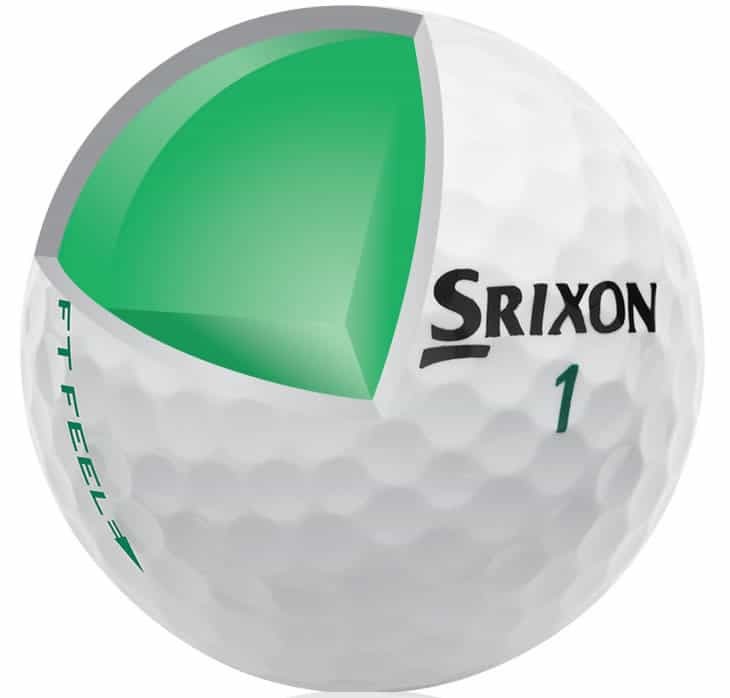 As earlier noted, the Srixon Q-Star golf ball provides added distance on all shots, especially off the tee. The exclusive Speed Dimple design allows you to launch the ball higher and helps to optimize spin rates. The soft skin outer coating of the Q-Star provides you with great feel and great control. Additionally, the compression of the ball is a mild 75 which means a subtle soft feel on chips and putts. Ultimately, the Srixon Q-Star golf ball is aimed at the intermediate to advanced golfer looking for a premium golf ball that won’t break the bank. With precision engineering and innovative design, the Q-star is a high performing affordable golf ball. 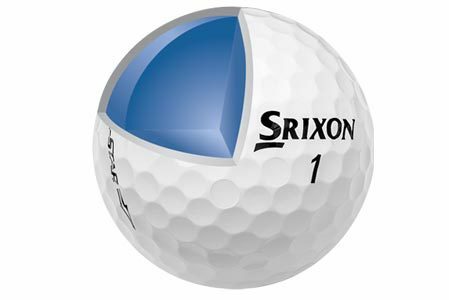 The Srixon Soft Feel Golf Ball is designed for the high handicap golfer that wants the ball to fly far and straight. Obviously, we all can’t hit it like the pros. Intentional shot shaping and consistent control takes thousands of hours of practice. For golfers who don’t have time to spend thousands of hours on the range, simple golf balls are simply better. Everyone is looking to hit it a little farther and find the fairway a bit more often. A simple golf ball is designed to do just that. Designed to produce a slightly higher launch angle and reduced spin rate, the Srixon Soft Feel golf ball makes finding the short grass much easier while providing extra distance. Average golfers often make the mistake of associating soft feel with less distance. The reality is that in today’s world, with all of the technological improvements to the golf ball, you can have soft feel and great distance. There is no need to play a rock hard golf ball if you’re looking to add yards to your shots. 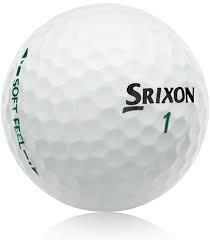 Srixon demonstrates these technological advancements with the Soft Feel golf ball. Yup, a soft distance ball. 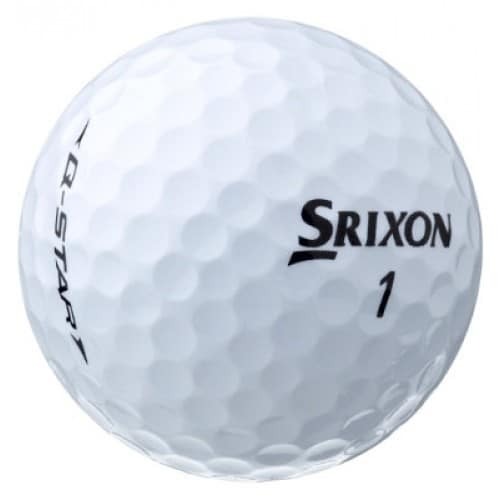 The Srixon Soft Feel golf ball is a distance ball through and through. The Soft Feel ball has a compression level of 71. This compression level is four points lower than the Srixon Q-Star premium golf ball designed for more advanced players. The slightly lower compression provides a softer overall feel while preserving distance gains. Players rave about the feel of this golf ball on and around the greens. The benefits of the Soft Feel golf ball by Srixon are designed for casual golfers who don’t swing the driver 100+ miles per hour. This golf ball is meant for those of us who naturally have slower swing speeds. On average an amateur swings the club about 81 mph. As we all know too well, this translates to about 230-240 yards of distance off of the tee if we keep it in the fairway. Basically, most amateurs needs all the help they can get when it comes to driving the golf ball. Why does this ball fly so far? The answer lies in the compression. Many casual golfers are mistakenly playing golf balls with compressions that are too high for their clubhead speeds. High compression means the golf ball will back up on the greens, but it will lose a lot of energy in the process. This loss of energy results in a loss of yards. In addition to efficiently transferring impact energy efficiently, the Srixon Soft Feel also prodcues a high launch angle. Higher launch angles result in increased yardage on all shots. If you lack a bit of yardage and tend to hit the ball low, the Srixon Soft Feel could be the perfect ball for your game. Let’s get into the details of this two piece distance ball. The Srixon Soft Feel is a two-piece golf ball with an Energetic Gradient Growth core just like premium Srixon golf balls like the Q-Star. This core is engineered to promote increased acceleration and longer distances. As we mentioned above, the Soft Feel is all about getting the right level of compression. Many tour quality balls have super low compression levels to maximize spin, which inevitably affects distance to some degree. With the Soft Feel, Srixon is focusing on distance and only distance. A compression core of 71 which is means that it will fly super far. 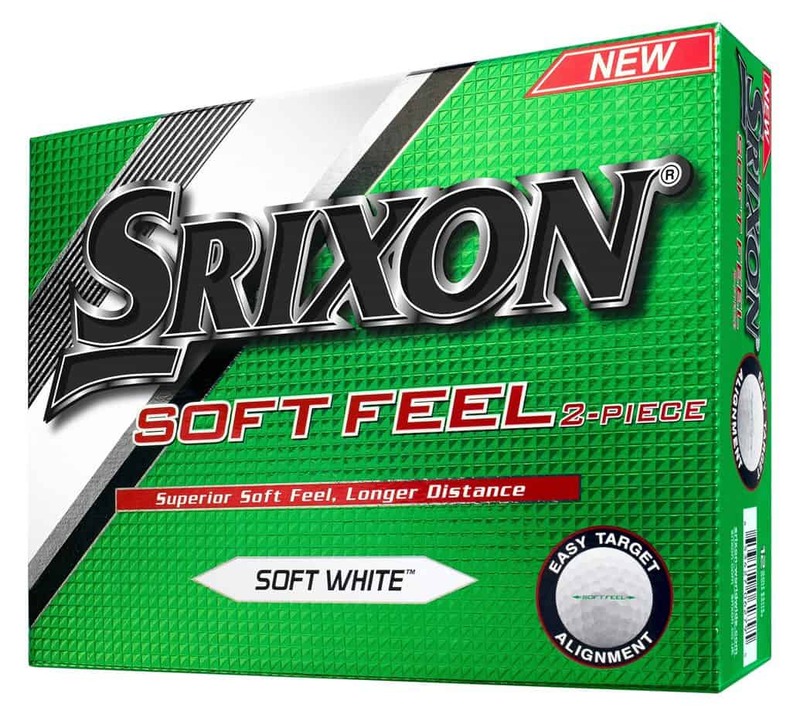 The Srixon Soft Feel features an outer layer, or cover, made from Ionomer. The cover is softer than most conventional outer layers and is available in Pure White and Tour Yellow for those golfers who like to mix things up a bit. This Ionomer cover is also thinner than previous versions of the Soft Feel. This thinner cover is meant to add a bit of bite around the greens so that you don’t totally sacrifice responsiveness for distance. That being said, let’s not kid ourselves. This is a simple two-piece ball that is meant to do one thing – go far. If you want a bar that will fly far but feels soft, buy the Srixon Soft Feel. It is designed with the weekend golfer in mind and the price is right. The technology that you get in the Srixon is well worth the low price. The golf ball feels like a tour quality ball, but flies way longer and way straighter. Thank you for a very very good informations, I am a weekend golfer and now I know what golf ball that supposed to me is. Glad to help out, Nathan. Let me know how the ball works for you when you take it to the course. Interesting review. I found one of these balls while playing and proceed to use it. Even my wife was amazed at how much higher the ball was going and that translated to further distance. It went far and straight while still being decent on the green. i love the bridgestone bb330 for short shots but i have a hard time with it tending to go off line while driving. I tend to play with dunlop distance balls because i can hit them so straight but they stink on the green. This ball seemed to be good driving and chip/putting. I’ve played the Wilson duo and spin for two years, I really like the Wilson ball, but I happened to try the Q-star ball, it impressed me so much I am changing to srixon golf balls my drives are further and control is unbelievable , thanks Srixon perfect ball for average golfer q-star. Great ball but it’s no Duo Spin…sorry. I like the soft feel give especially when I drive the golf ball but it comes down to this the golf ball will always do it’s job but the golfer must do his to. Love these golf ball reviews that you do. One section I would add would be “comparable or competitive golf balls”. Because that would allow us to also read what you wrote about the competitive golf ball and make a better decision. Great review. This review (and others) led me to try the ball. Very impressed and at the price point offered went out and bought 4 dozen more. Found your site by accident. Tired of all the modern mumbo jumbo, your site is clear, concise, very refreshing. Thanks.